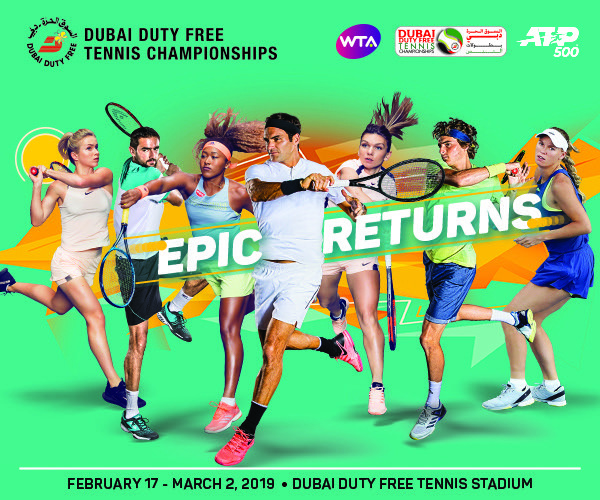 January 27 2019 – DUBAI, UAE: Naomi Osaka‘s rapid climb to the very top of the game has been nothing short of astonishing. Last year when she competed in Dubai she was ranked a modest 48, but immediately after losing in the quarter-finals she took her first steps to super stardom by winning the Indian Wells title, and just a few months later she stunned the tennis world, and her opponent in the final Serena Williams, by winning the US Open. She has continued her fantastic run this season, outlasting two-time Wimbledon champion Petra Kvitova in a thrilling three-set finale to the Australian Open. Not only did her victory elevate her to the very top of the rankings, she became the first player to follow her maiden Grand Slam title with victory at the following major since Jennifer Capriati won the Australian and French Opens in 2001. “But for me, I don’t know, like I still feel very shocked. Like, I felt like the match wasn’t completely done, but it was done, you know? It’s one of those moments where you’re fighting so hard. When it’s finally over, you’re still in the state of competitiveness.